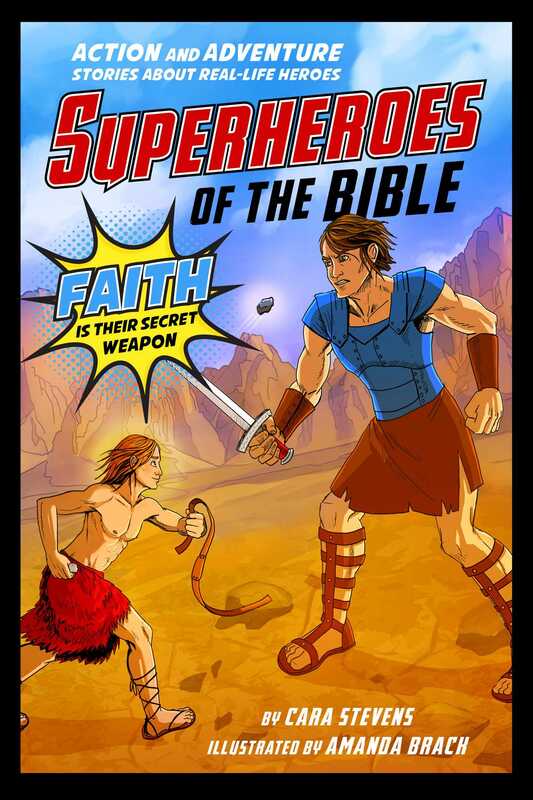 Kids ages six and up will love this exciting comic-book style collection depicting ten of the greatest superheroes of the Bible. Each short story tells the tale of one biblical hero fighting against the odds, battling foes, and/or enduring great tests of faith and strength to prevail in the name of the Lord. From Joshua who fought bravely against a great army in the siege of Jericho; to Elijah the prophet who stood up to a powerful king and wielded flaming fireballs from heaven; to David who battled and defeated the giant, Goliath, there are plenty of captivating tales to inspire kids of all ages. Families will love seeing their children dive into these colorful stories of faith and kids will enjoy the full-color illustrations that bring dramatic Biblical scenes to life. Each ten to twelve page story is just the right length for active or reluctant readers, bedtime reading sessions, and church groups. Entertaining and character-building, this story collection is the perfect addition to any home library. Discover the amazing feats of God as displayed through ten incredible Bible heroes! Reinforces Christian values/teachings and highlights how God can work through anyone. Engaging, comic book-style art helps kids of all reading levels and ages relate to the characters and dive into the story. An illustrated, full-color adventure that’s fun for the whole family!